Brittany Thomas | the blog: how to get the best getting ready pictures | a few tips and lessons learned. how to get the best getting ready pictures | a few tips and lessons learned. Heading into my third season of shooting weddings, I've been thinking about what I want to see, how I can better prepare my brides (and grooms!) for their day, and what changes I would make. Looking through my weddings from last year, I see a huge gap in the quality of photos from the "getting ready" portion of the wedding day. Some of them make me incredibly proud - there are sweet moments of anticipation with raw emotion displayed in clean, intentional images. Others make me want to hide under the bed and pray no one knows I took them. Since hiding under the bed isn't an option, I started thinking about what the problem was with the images I wasn't proud of. If I could make the prep photos happen my way, what would I do? What doesn't seem like an issue at the time but shows up later (in a negative way) in my images? It's my responsibility to prepare my clients to help me create gorgeous images and they don't know what I don't tell them. 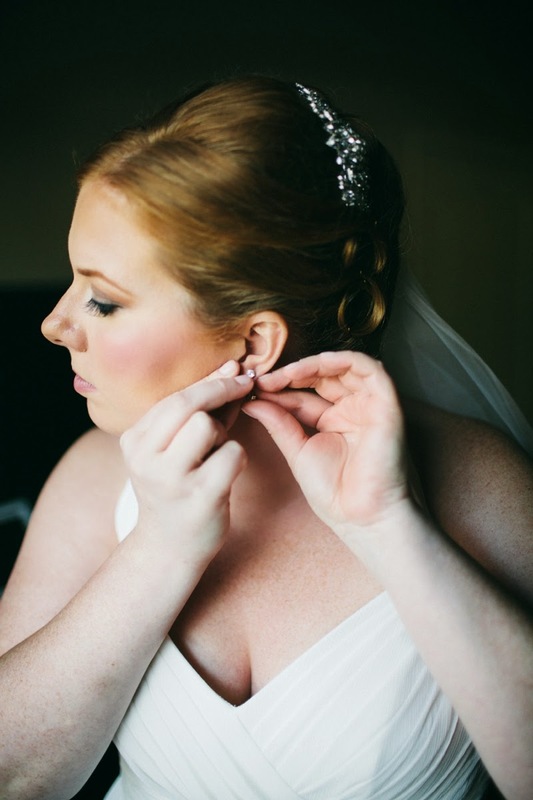 I've created a wedding worksheet for each of my clients that they review about two months before the wedding with a special section highlighting the Getting Ready portion of the day. Whether you're getting married in a hotel or in your backyard, you usually have options for where (especially the bride) you'll be getting ready. 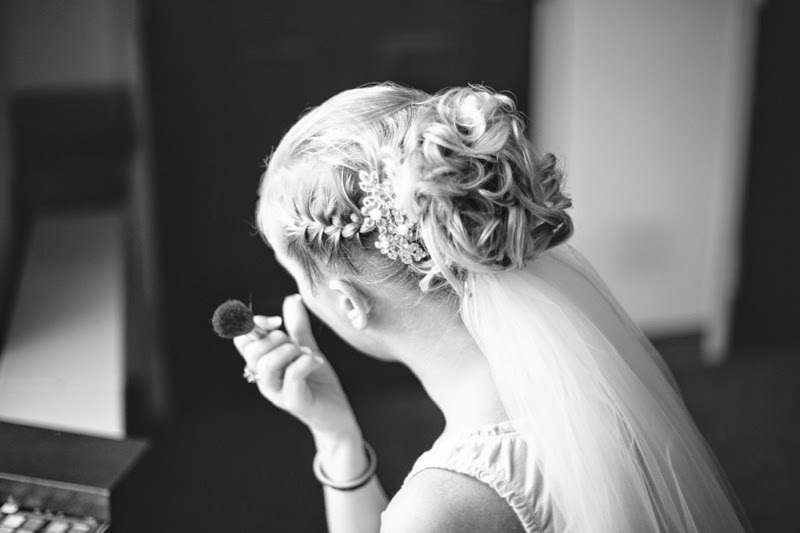 Choose a location with plenty of natural light to have hair and make-up done and to put on your wedding gown. If you're getting ready in a church, avoid children's classrooms as they usually have tons of toys and a mural of Noah's ark on the wall. Unless you're having an ark-themed wedding. Then you should get ready there. If you're in a hotel, see if they have a conference room with large windows available to you. It never hurts to ask! Avoid fluorescent and tungsten lighting if you can - natural light is always more flattering and will make a world of difference in your images. Wedding days are busy, guests are coming and going, the bride is eating half a sandwich while getting her make-up done...I get it. Unfortunately, the bridal suite often becomes a catch-all for suitcases, garment bags, snack food, trash, water bottles, etc. Try to keep at least a section of the room clutter-free for the bride to get dressed so we don't see the Doritos bag in the background (but if you're gonna get them, get Cool Ranch and make sure I get some). 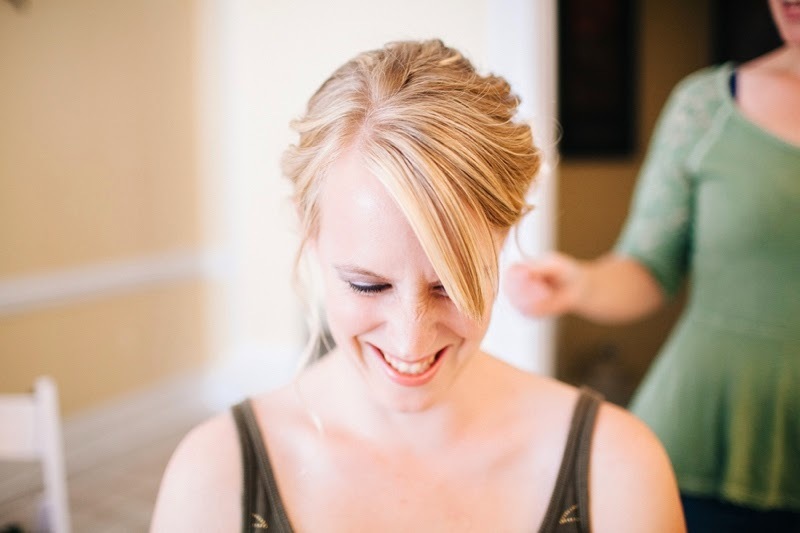 Helping the bride get ready is exciting for everyone - but it can quickly become stressful and overwhelming when there are too many people crammed into the room. Try to limit the people in the prep areas to bridesmaids and the mother of the bride, if possible. A less crowded room will make for better portraits and a relaxed atmosphere (which, of course, will yield better images). Depending on the timeline, I may not have much time to photograph all the bridal details for the wedding day. Having all the bridal details together - the dress, shoes, rings, bouquet, veil, invitations, etc. - in one location before photography begins will make this part of the day run more efficiently. Allow more time than you think you'll need to get ready - it's better to be relaxed than rushed. If your package only provides one photographer, stagger the dressing times between the bride and the groom so they're not happening at the same time. Guys usually take less time but I can't be in two places at once, so plan accordingly. If you have two photographers, problem solved!